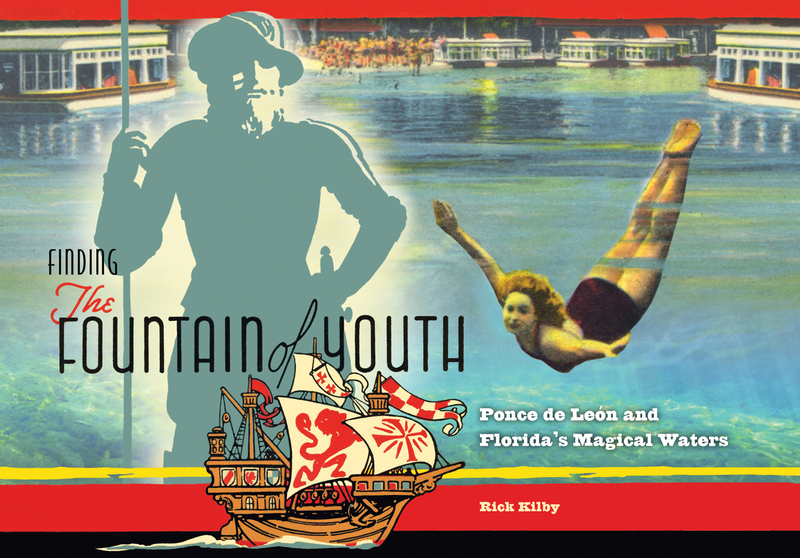 A visual treasure trove of vintage postcards, photographs, and advertisements, this book vividly illustrates how deeply interwoven the mythical Fountain of Youth is in Florida’s cultural identity. 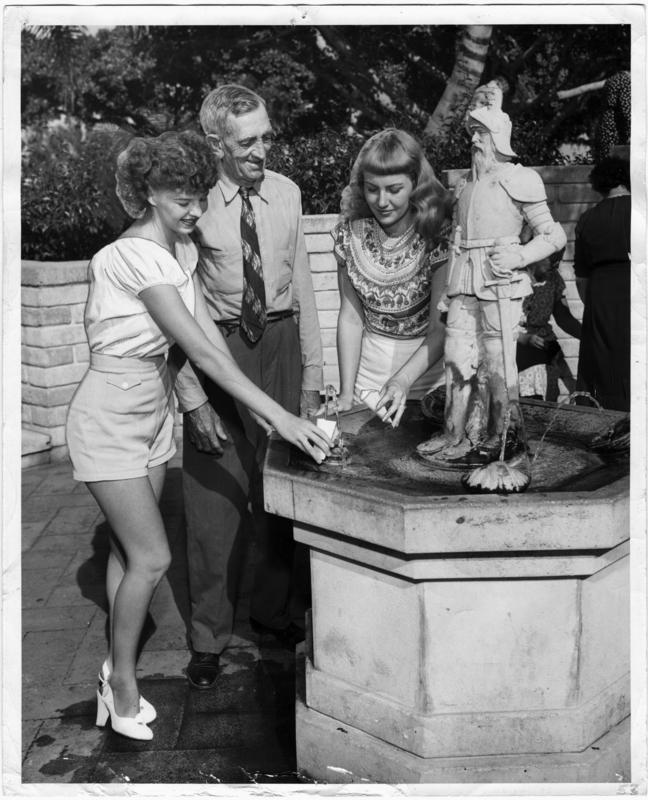 More than conquistador Ponce de León’s fabled quest for rejuvenating waters or a kitschy attempt at attracting tourists, the Fountain of Youth has grown to symbolically represent Florida’s ongoing struggle to protect its delicate natural springs. 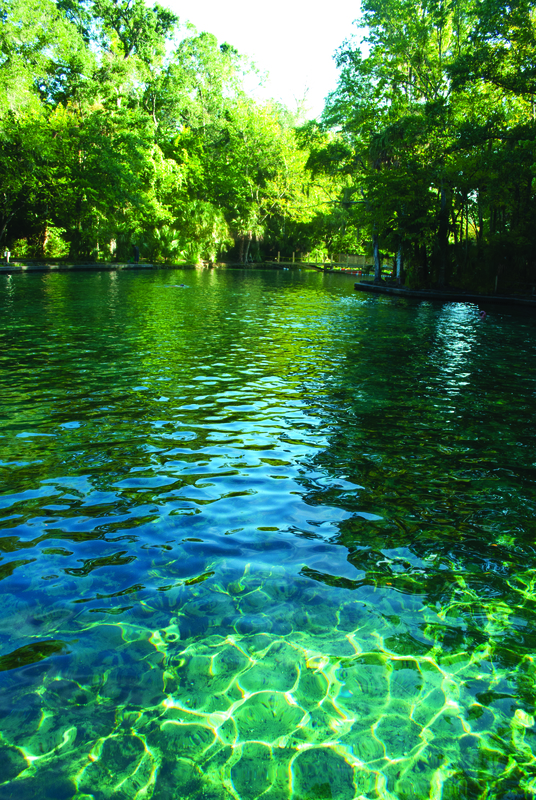 Graphic designer Rick Kilby takes readers on a colorful journey through Florida history and culture, asking them to consider the future of natural treasures, where once crystal-clear water is now cloudy. 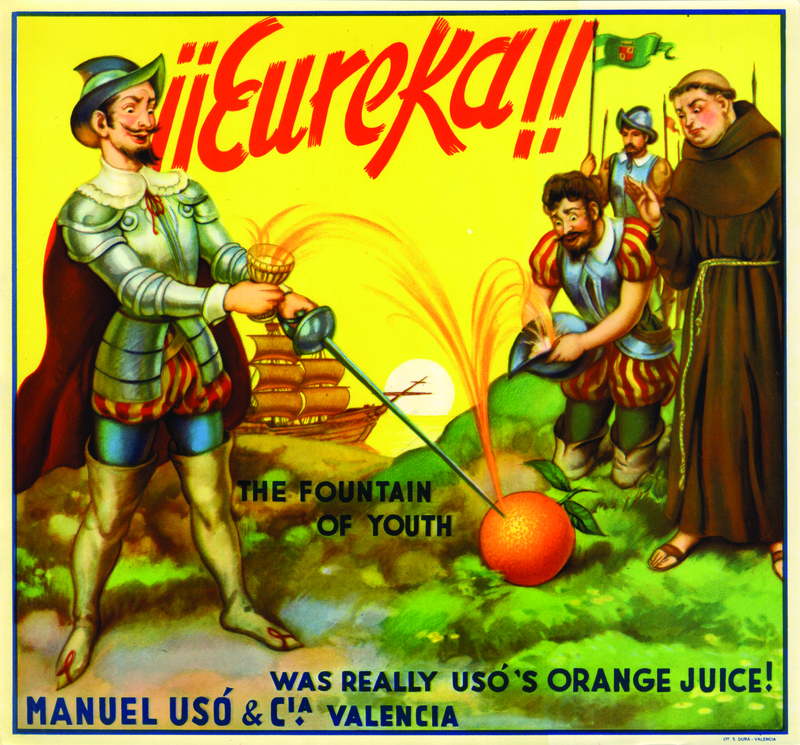 A vintage citrus label shows Ponce de León discovering the Fountain of Youth in the juice of an orange. Nothing says “Youthfulness” like pretty girls! Fountain of Youth, St. Petersburg. 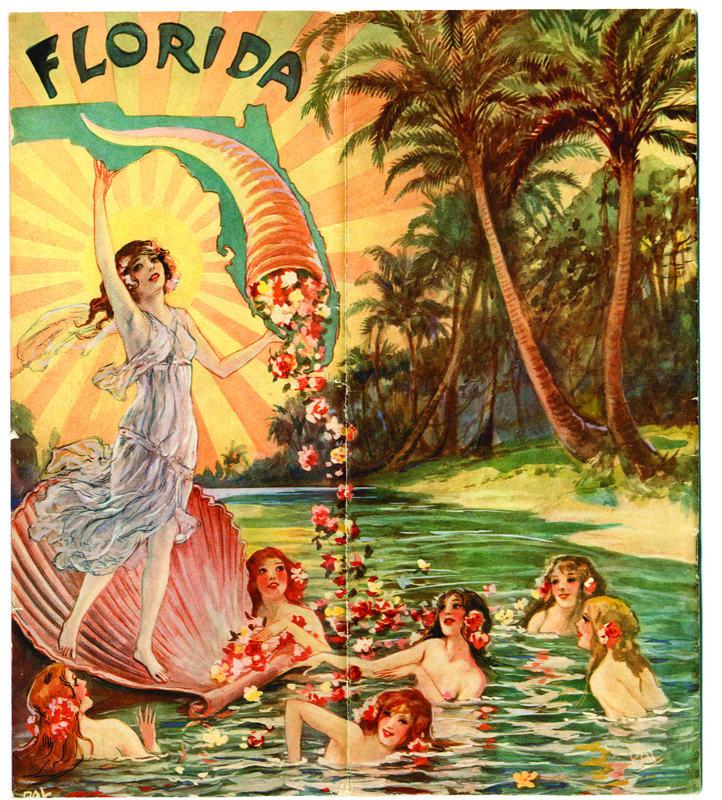 Victorian-era advertising for Murray and Lanman’s Florida Water perfume took advantage of the health-giving reputation of Florida’s waters, and featured beautiful women and elaborate fountains. 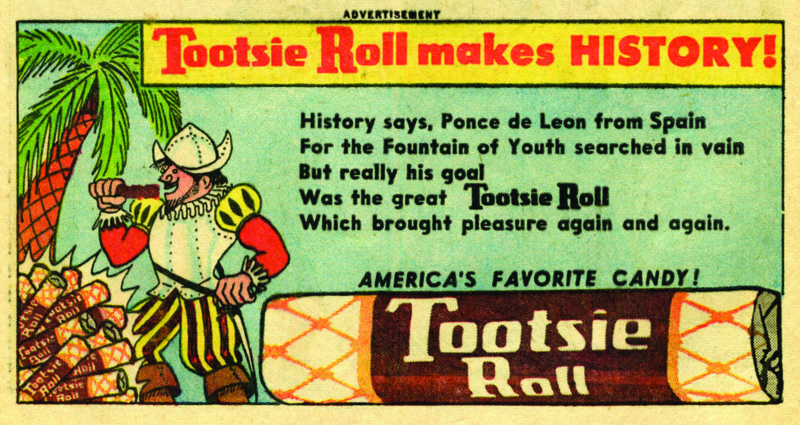 Not as academic as I had expected, – more a picture book, but the old photographs and postcards from Florida Before Disney are fascinating and revealing.